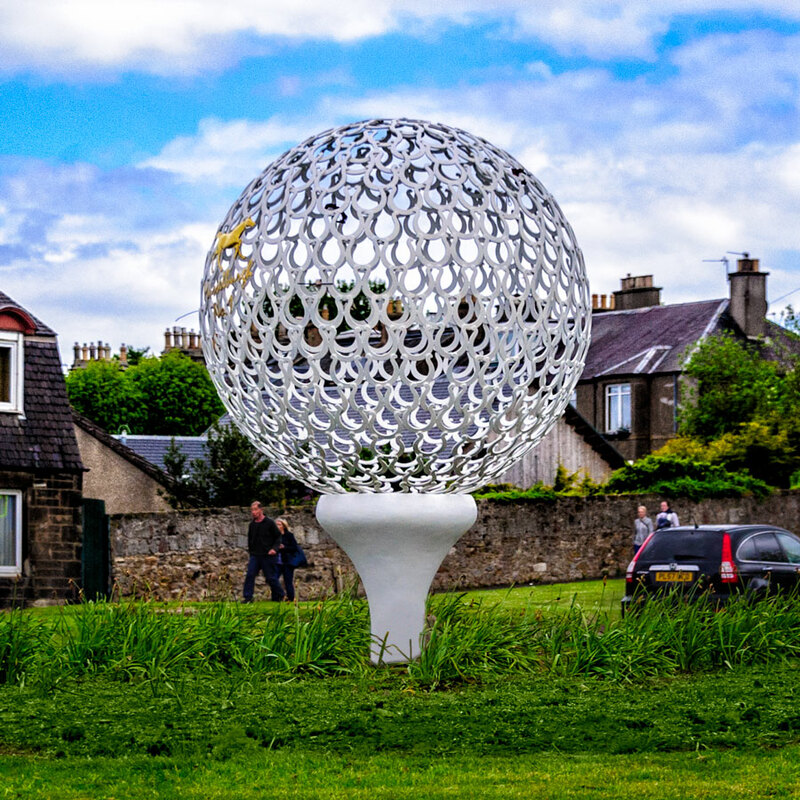 This huge golf ball is in a turnabout between Edinburgh and Muirfield. It is another course (Musselburgh) that locals claim is the true 1st golf course. Well, you could debate that, and golf scholars, and golf courses do debate the subject of who deserves the title of the true home of golf. But everyone seems to agree that it is Scotland, just the exact location in Scotland is less clear.